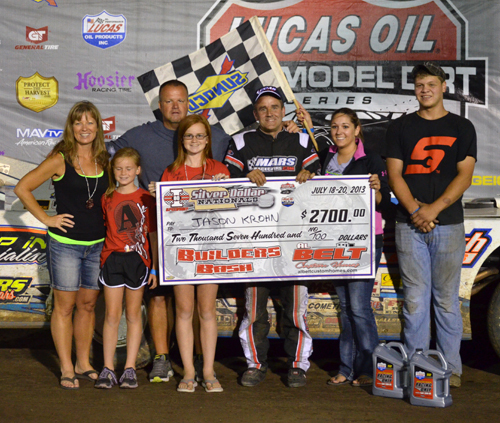 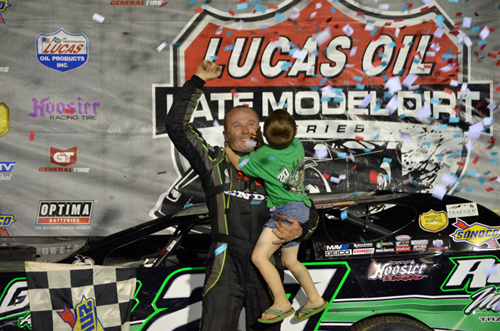 Jimmy Owens celebrates with his son after winning the Silver Dollar Nationals at I-80 Speedway. 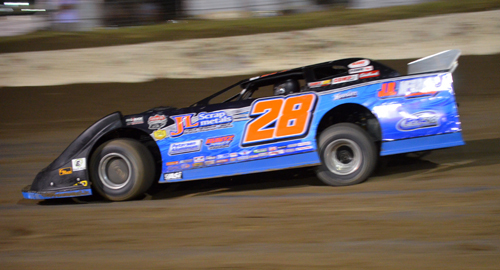 Ryan Gustin of Marshalltown, IA, was the talk of the weekend, with his drive from 34th to 1st before tagging the wall midway through the contest. 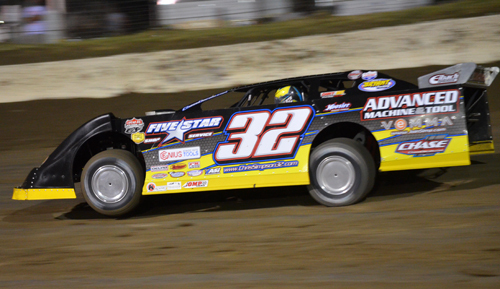 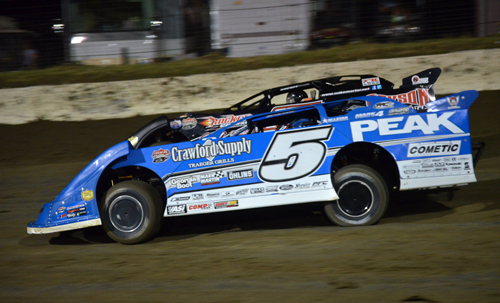 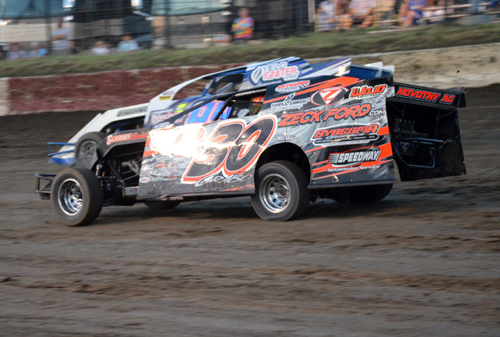 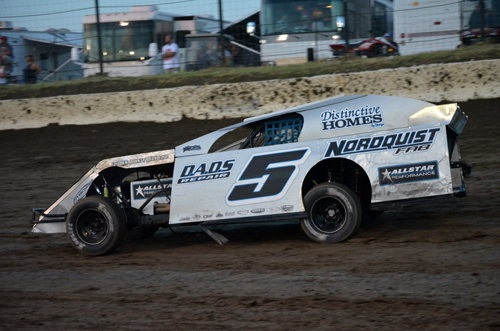 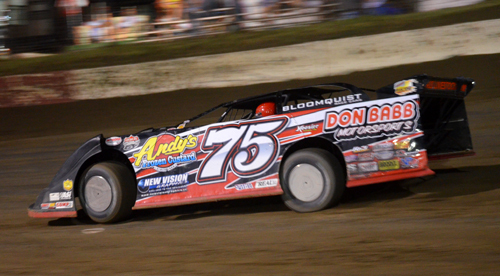 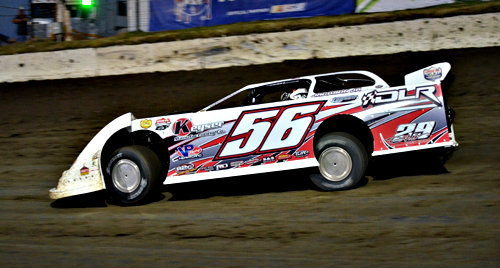 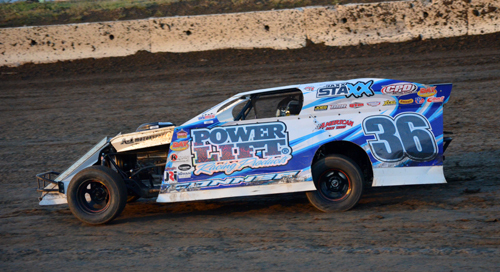 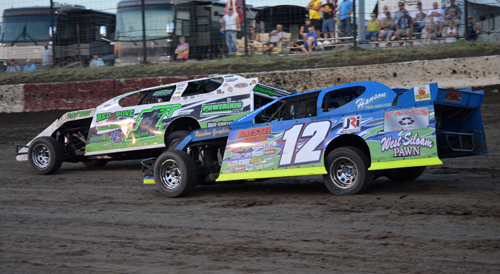 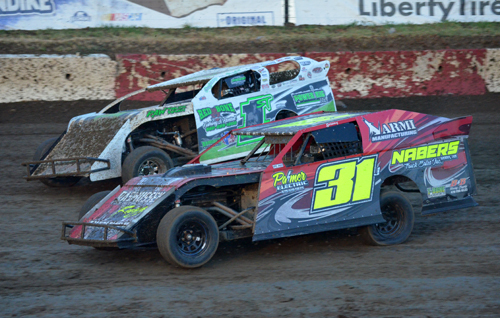 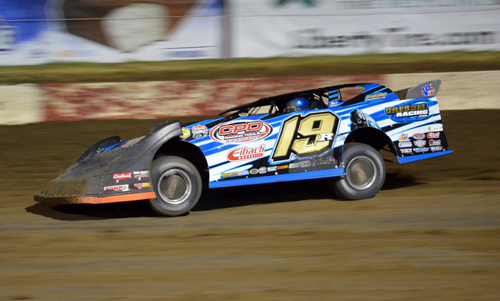 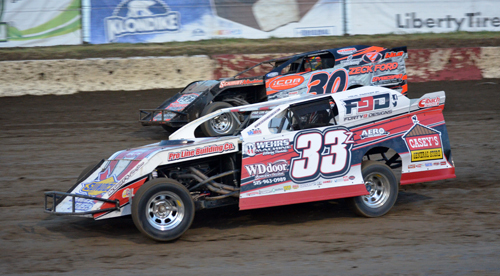 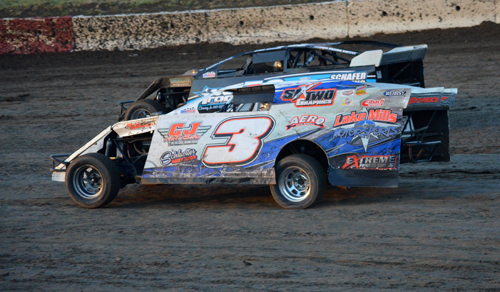 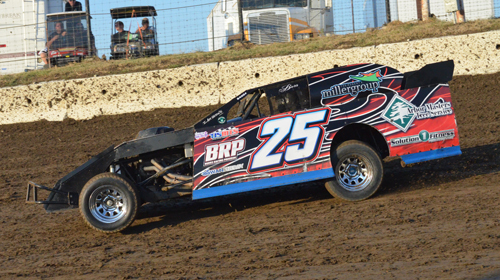 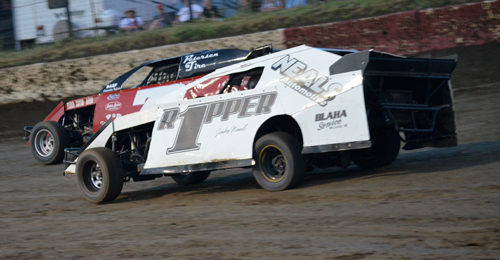 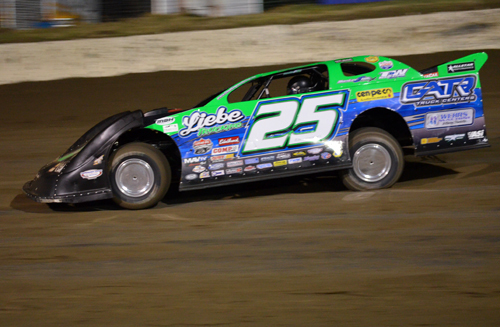 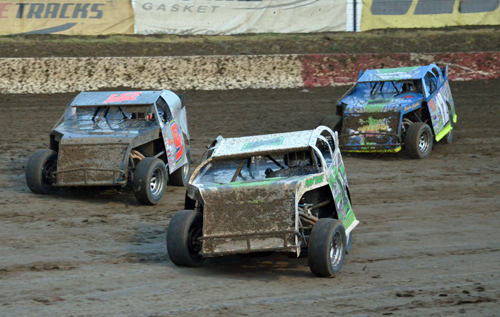 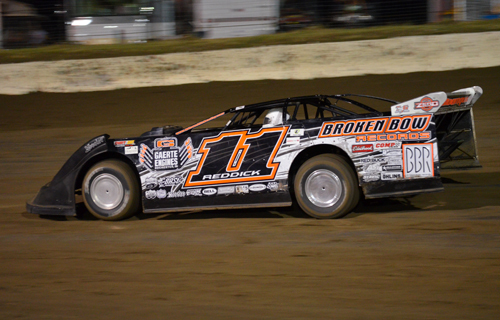 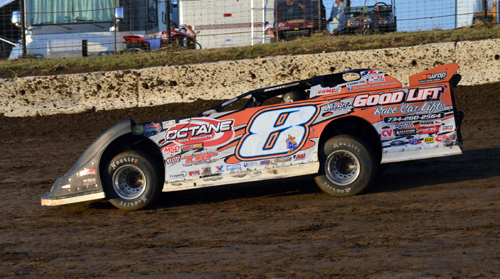 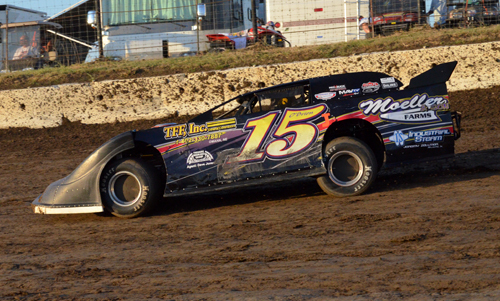 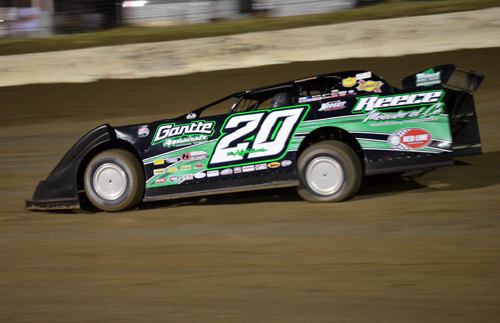 Tony Jackson Jr. impressed everyone with a solid runner-up finish in the 80-lapper. 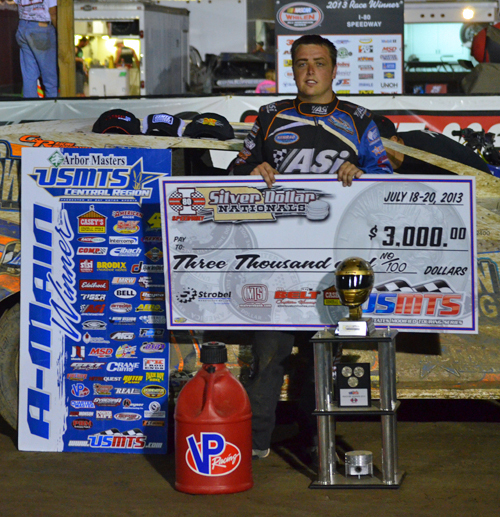 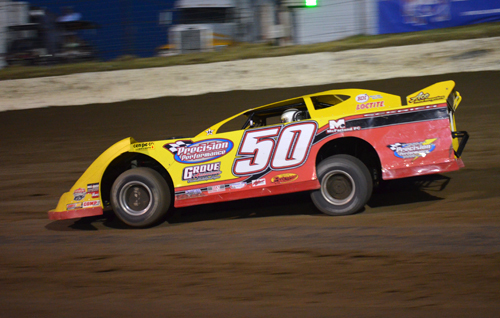 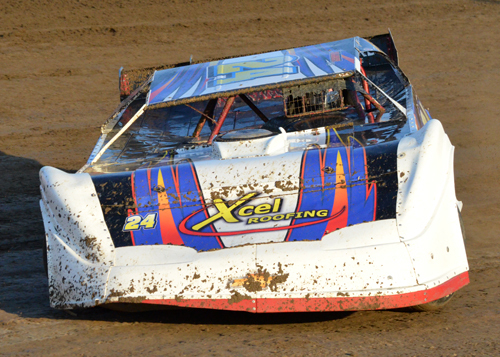 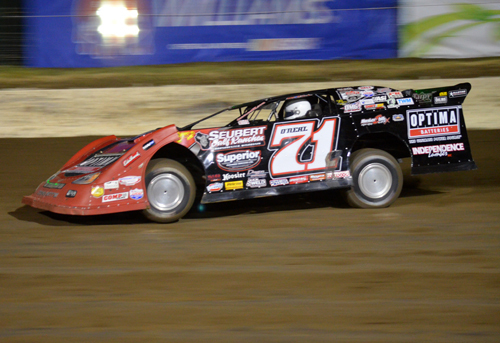 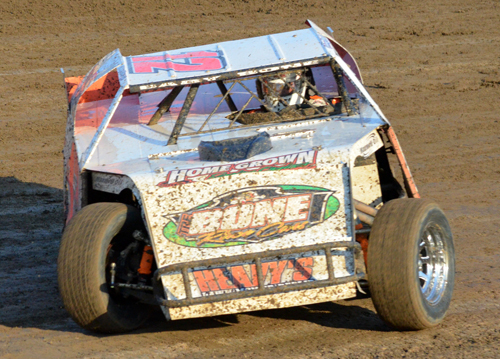 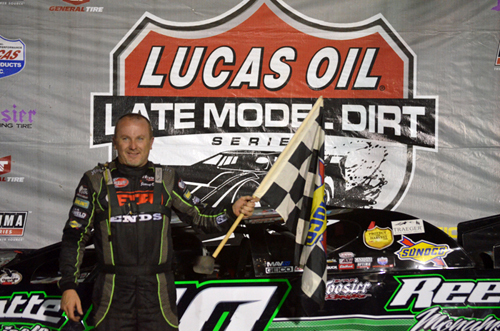 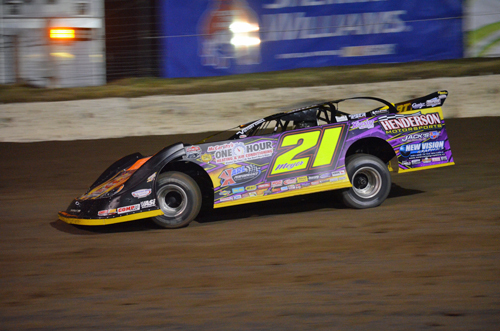 Rodney Sanders of Happy, TX, won the 35-lap USMT main event on Saturday night, sweeping the weekend.